Bromstad was the first Design Star and one of the most successful. From 2007-2013 he hosted the popular HGTV show Color Splash (no new episodes are listed for 2014) and has been a mentor and judge on Design Star. He also hosted Design Star All Stars in 2012. He launched the series The White Room Challenge in 2012, based on the popular Design Star challenge. He has a bed and bath collection, an art collection at Penny Lane, and even designed some shoes for Naturalizer. You can follow him on Facebook (where fans have been begging him to return to HGTV with new decorating shows soon) and his website. After winning the second season of Design Star, Kim became the host of a home makeover show called Myles of Style on HGTV. She’s also appeared as a host and designer on other shows like America’s Biggest Yard Sale. Myles was canceled after three seasons, but she reports on her blog that she now “works for Oprah” on the show Home Made Simple, which is hosted by Soleil Moon Frye on OWN. You can read an interview with her on Designer Marketplace in which she talks about more of her adventures in designing and follow her on her website and Facebook. After Jennifer won the third season, she appeared in an online show for HGTV.com called Paint Over. Soon after, she had a baby boy with major medical issues that required multiple surgeries, so she took a hiatus to take care of him. An article in the Washingtonian reports she’s designing again: “She’s hard at work designing an 18,000-square-foot home for the Ronald McDonald House, writing magazine articles, traveling to home shows, and serving as a spokesperson for the International Design Guild. Ballatore hosted The Antonio Treatment for a few seasons until it was canceled. He was in the gossip mags a couple years ago when they reported that he was dating 90210 star Jennie Garth. An interview on Cheeky Chicago reveals some of his current projects, including an art-centric bar in Wicker Park called FAME, and mentions that he has signed on to do another show. No word on what it is or when it will air, though. 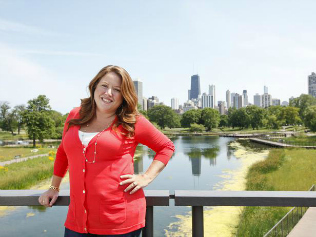 On her popular blog, Emily writes, “In 2007 I moved to Los Angeles with my husband and auditioned for HGTV’s DesignStar. I happily took home the crown. Six months later I had my own TV show called Secrets From A Stylist where I analyzed the homeowners’ style through my patented style diagnostic and restyled their home to match their personality using vintage and affordable design. You can read a recent interview with her about her design work at The Every Girl and follow her on Facebook. After winning Season 6, she became the host of Meg’s Great Rooms and hosted HGTV Home Makeover. She has gotten married and became a mom since Design Star aired, too. You can follow Meg and learn more about what she’s up to on her website and Facebook. Danielle’s HGTV show Shop This Room didn’t seem to stick around very long (I could only find evidence of one episode listed, but maybe there were more I didn’t see). She has a design firm in NYC (dcdny), and her apartment was recently featured on Apartment Therapy. After winning the 8th season, Tiffany was named host of Most Embarrassing Rooms in America. She was also the host of the HGTV 2014 Smart Home Giveaway show this year. Since winning Design Star, she says she’s “been recognized as one of the Top 20 African American Interior Designers and made dozens of media appearances.” You can learn more about what she’s up to on her website, including the online design packages she offers. R.I.P, Design Star. Vern Yip said in an interview that although people tell him all the time that they want more decorating shows, the real estate shows get the best ratings, which is why HGTV has been airing fewer shows like this, and more of HH and LIOLI. Do you have a favorite winner? Some of them were hard to track down, so if you have any additional info on the projects they’ve been working on, fill us in! You Asked: Has "Rehab Addict" Been Canceled? Emily!! Love her blog, style, etc. She’s awesome. I almost didn’t recognize Antonio without his glasses! I am a casual viewer of HGTV these days, at best. I loved the “olden days” when Decorating Cents was on…. 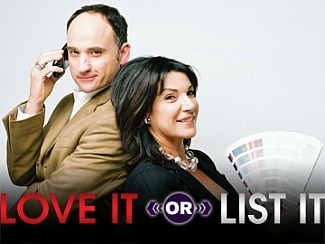 I hope that HGTV understands that the ratings for HH and LIOLI are so high because that’s all that’s on?! i agree with linda (above)…if you only run HH and LIOLI, etc. you get ratings on those shows…DUH! i wonder if HGTV has read the numerous comments on the show Fixer Upper? now that’s the kind of show I want to see and according to the comments. so do everyone else. in those comments, no one watches HGTV much since the real decorating shows went off the air but are huge fans like myself of Fixer Upper! Wake up HGTV…bring back the good old days and keep Fixer Upper! I’m kind of obsessed with “Fixer Upper” right now. I get so excited when a new episode is on. I hope they renew it for a second season!! We so enjoy “Fixer Upper” at our house, too. It’s so refreshing to see homes that can be purchased for such reasonable prices and then fixed up! Chip, Joanna and their kids are almost too perfect/cute/talented to be true, but I am trying not to be so cynical! This is my number one show! HGTV has gotten so boring in the past couple of years. Even Food Network, but I do like Farmhouse Rules and Pioneer Woman and Trisha’s show. They need to focus on real cooking shows, like HGTV needs to concentrate on real decorating shows. He was quite charming! I haven’t watched the show, but I bet he comes across well. Plus it’s been more than 15 years ago that I knew him…he may be a totally different person now. i’ve heard fixer upper was renewed for a 2nd season! i also went on amazon and ordered all of the prior episodes since i didn’t know anything about this show until the 1st season was almost over…now i can watch the reveal and pause my computer so i can take in all that loveliness! I had to look up some of the older episodes to watch them On Demand, too. I’ve seen a clip in the opening of one house I haven’t seen yet, so I’m still trying to track that episode down. Ha. I’m so excited a second season is coming! That depresses me. My kids and I were scouring the HGTV website wondering when Design Star (HGTV Star?) would be on…and I know they’ll be disappointed. We love watching actual design shows and really enjoyed seeing the different design POVs. They’re 10, so I know it’s the design and not the other junk HGTV has going on. I find HH to be boring and LIOLI to be very formulaic and annoying. With the competition shows, you never know what the designers are going to come up with and it’s exciting! I’m not sorry to see the demise of Design Star. I didn’t care for any of the winners when they won, but later warmed up to David Bromstead a bit. It seemed to me that the judges had made up their minds before any tasks were even started, and sometimes I questioned their decision on who went home. But that’s just me. I also agree with Linda G. If that is all there is to watch, yes, it will have the ratings. So I now watch more Food Network and (kinda shamefully) Bravo. Am in love with Fixer Upper! I think the “Food Network Star” competition is always entertaining. I’ve been watching it this summer. 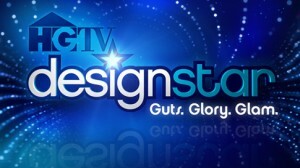 Someone needs to point out to Vern that Design Star wasn’t a decorating show but a competition show. I didn’t watch it because I don’t like those anymore than I like HH or LIOLI (though I do enjoy an occasional international episode). Even the few design shows that HGTV comes up with these days, they manufacture drama or choose hosts that come off as chaotic (like their amped up on caffeine or worse). That is because the typical coveted young viewer eats that stuff up. The “olden days” Linda G mentioned always had a host that was soothing and provided real info and the shows had a specific feel to them. Joe Ruggiero, Joan Steffend, Kitty Bartholomew, Joe Washington are just a few that come to mind. Basically, I used to watch A LOT of HGTV, and now I rarely watch any. Maybe someone should create a network that only shows old episodes of all that programming. Design Star wasn’t technically a decorating show, but there were decorating challenges and makeovers that a lot of people watched it for each week. It stood out as one of the few shows on HGTV that didn’t feature a real estate element to it. He does have a special coming up called “Living in Vern’s House” about building his dream home in Florida (July 12). I’ll be watching! What I don’t get is that HGTV doesn’t promote any shows besides their current staples. Who would have heard of Fixer Upper if it weren’t for blogs like yours promoting it? Ditto for Vern’s special. The front page of their website is useless. I’m not surprised they canceled Design Star- they didn’t seem to be able to offer anything to the winner except exposure. I was curious about them, though, so thanks for the update, Julia! Here’s hoping the ratings for Fixer Upper are good and affect a positive difference in their programing! Oh, and don’t forget “Room by Room” ! I loved Room by Room too !!! A host is 1/2 the show. I forgot about that. Thanks, Jenny! I picked up the June issue of Redbook at our library magazine exchange and Emily Henderson is in it with a DIY table runner idea. HATE HH and LIOLI!! Stopped watching design star, can’t stand Vern. Love Emily, Bromstad and Antonio. I watched only Bromstad on design star and started watching Emily and Antonio after they had their shows. Back in the “good old days” we sat around talking about HGTV because we loved it, now we only talk about it because we hate it! It’s as if they don’t even try to develop shows for the “winners” any more. The new TV model is to make shows on the cheap and real estate shows are cheap to produce, I guess. Brother vs. Brother reminds me of Design Star, but NBC did a much better job with the same concept and the results were so much more impressive. I find myself watching HGTV less and Bravo more to get my design fix. Please let Million Dollar Decorators stick around! I think the National Association of Realtors must have secretly bought HGTV because it’s all about getting people to buy houses. And it’s so boring now! Where’s that cute John, the guy who fixes up the outside of homes. That was unique and fun. John Gidding? I always liked him. He’s been MIA lately, hasn’t he? Wonder what he’s up to? Thank you so much for the information Julia! I do not watch HGTV as much as I used to. Once in a while, I will watch back to back episodes of House Hunters (it’s easy to get sucked in). I do like Emily’s blog, and I saw the ad for David’s shoes and purses for Naturalizer in HGTV magazine. They are very cute! It is unfortunate but I really don’t watch HGTV much any more. I love Fixer Upper and will continue to watch that show but I miss the good old days. I agree with Ray P. I miss Joe Ruggiero and Kitty Bartholomew and all of the great older shows. What about Sarah Richardson? Where did she go? She is amazing and I loved all of her shows. Homes across America was really fun to watch too and it was something other than couples arguing over whether they should love it or list it. Thanks for all the wonderful blog posts! I for sure miss the design shows. We all know the real estate ones are staged so it’s a bit anti-climactic. I really miss Sarah Richardson too! She’s fun to follow on Instagram but her shows were so good. I learned a lot. Do you know if there are plans to air another season of White Room Challenge? I’ve been watching the reruns on Friday mornings, and wondered if they were gearing up for some new eps. I haven’t gotten any press releases about it from HGTV, so there aren’t any plans that I know of. According to IMDb.com there haven’t been any new episodes filmed since 2012. I miss the days when HGTV had decorating shows and not just real estate shows. Kinda like when I tell my kids MTV used to have music videos. Antonio was my favorite winner.I love Fixer Upper and I also miss all the old shows like decorating cents …! The comments on this post turned from being all about “Design Star” to all about “Fixer Upper”! LOL! Count me in as another reader who loves that show! Seriously, I love everything about it. Chip is funny and he looks like he could be Dennis Quaid’s younger brother. Joanna is sweet, and her style is amazing. I love how they interact with their children and each other. Oh, and that thing they do where they give old houses a second lease on life? Love that, too! So funny that you said that. The last episode we watched I told my husband he reminds me of Dennis Quaid. Glad I’m not the only one thinking that! Ha. I only have the opportunity to watch HGTV when we are staying in a hotel that has the channel, so I’ve not seen most of the design stars except David Bromstad. I liked him quite a bit, especially his custom of painting a canvas for each homeowner. I like Sarah Richardson but never seem to be able to catch her shows. Hate the show Love it or List It, both iterations are ridiculous. My favorite is the guy who creates income suites in peoples’ houses. He not only seems to know what he is doing, he is realistic about the budget (although it never includes labor costs). Thanks so much for this interesting update. I was wondering & requesting more decorating shows for HGTV..I am so so happy now that I have DIY. so even though it seems to be all these “crasher” shows, it seems decorating ideas are passe’ on TV. I don’t know why. David was very talented & fun to watch. I wish they would bring him back to do something. You know even these house show get suddenly decorated for the showings. I wish they would show a bit more of that decorating. & whose really doing it. PS it seems Jonathan & Drew have totally taken over HGTV with 3 shows!! WoW. I don’t get it? It does seem like the brothers are on night and day now, doesn’t it? I can’t keep up with all their shows! With Bromstad off HGTV it might be time for me to revisit the network. Just wanted to join the chorus – I miss the design shows too! There is way to much HH on for sure and while I kind of enjoy LIOLI, it’s getting way, way too formulaic. (Always an unexpected problem that blows the budget and means something gets cut. Always the 3rd house shown is the “winner” after seeing one over budget and the other too far out of the desired neighborhood.) I miss Color Splash, Sarah Richardson, Designers’ Challenge, even Candace Olsen, and Debbie Travis! I do like Brother vs Brother but they are reaching maximum saturation for me. Mix it up HGTV! I caught a few episodes when Design Star was on the air, I think it was the one with Antonio, but now I follow Emily Henderson’s blog because I saw a cool retro room on pinterest last year and it turned out to be one of her designs. I can’t say that I love ALL her style, but she does do vintage and thrift store upholstery make-overs, which I like. She’s pretty funny, too. I don’t watch HGTV anymore…I loved it a long time ago when Joan Steffand, Kitty and such were on…they seemed “real”, and not over the top with design, unlike the ones on there now. And, everything is so slick and “rip it all out”, blah, blah, blah. Only once in awhile I’ll watch HH International, the ones with “down to earth” people, not the snobby ones looking for a vacation home that has to have everything that their home in the states has & don’t seem to appreciate the different culture. Not that young people don’t watch HGTV. But if you have kids & work you don’t have a lot of “tv-time”. So maybe it’s time for HGTV bring back shows like the ones in the 80’s & 90’s. “Fixer Upper” is a great example !!! Other than an occasional episode of HH Int’l, I never watch HGTV anymore. There was a time though in the mid to late 90’s when HGTVs “Design Time Saturday Night” was my steady date every single week. I was in my early 20’s, fresh out of college in a city where I knew no one. I had my first “grown up” job (but no money-ha!) and my first ever apartment with no roommate! I seriously looked forward to Saturday all week! I loved to fill my head with ideas for decorating on a budget and also daydreaming of the day when I could decorate without such a tight budget. Sigh….Matt and Sherry I miss you silly kids and your high waisted 90s jeans and hokey banter. Like so many others commenting here, I agree that the reason the real estate shows get the best ratings is because that’s all that is shown on the channel. When HGTV talks about decorating shows, they don’t mean the shows we loved that actually had a how-to component and real decorators, instead they list shows like Design Star and other competition based shows. I don’t watch the channel any longer except for House Hunters International. I wish some other cable channel would fill the void. I pretty much am addicted to DIY network over hgtv. I never understood why design star was on for so many seasons. It seemed like most of the winners could not carry a show. I agree with all the previous comments about the design shows. I used to love small space, big style. Presently, I like rehab addict, although I don’t love everything they do. Most of the shows I watch now I just watch the beginning and speed through to see the end. I find the fake drama hard to watch, especially the flip shows or love it or list it. Just the same old,crap.. Same thing with HH, how many times do we have to hear I want granite and stainless steel….would be far more interesting if they said I don’t like the neighborhood or how the house next door is maintained. I have found more interesting things online…I love Robeson design…if you haven’t watched her videos I would recommend them.. I know I’m late to this, but the last “Design Star” I watched, Meg Caswell was the winner. I didn’t even recognize the last two winners. They changed too many things in the formatting of the show, including getting rid of Clive, and the voting, and then adding as a mentor, the first season winner, who seems like a nice enough fellow, but to me has a bit of a girlish voice that grates quickly for me. I stopped caring. The show I miss is “Bang for your Buck”. I loved that show because you got a chance to see homes people actually live in and use, and design choices for real life, not a magazine layout. However, the the HGTV people tinkered with that show as well, and changed it into an actual for money prize competition, which seemed sort of tacky to have people who just spent $40,000 on a bathroom redo competing for $10,000. HGTV used to be on all the time in my home. I can’t tell you the last time I watched it. I lost interest because all the shows relate to buying and selling. The shows are so scripted and dumb — always can count on major conflict about 3/4 the way through when “uh, oh, we weren’t planning on this” issues come up so instead of re-doing your kitchen, we’re just going to make shelving for you in the laundry room. I want design and decorating shows like the old days. I used to love HGTV, but I am sick to death of Love It or List It and the only House Hunters I watch is the International or Renovation. There are next to no GARDEN shows on HGTV. It is so disappointing. I cannot tell you how many emails I have sent them asking for more design shows. I so miss Sarah Richardson and Candace Olson. Thankfully, my cable line-up recently added the DIY Network so I get some gardening shows now. I miss Gardener’s Diary and Gardener’s Journal. They were wonderful shows. You’re right about the Garden part. I used to love Landscapers Challenge, as well as sister show Designers Challenge. Once I was a big HH fan, but now I really only care about HH International, and even that is beginning to wear thin. HH was good in moderation, but the network is running it into the ground. This has been mentioned several times and I agree. More than a few of these shows are not about designing or decorating. They are about selling advertising and it shows. The networks want frenetic, telegenic hosts. You can almost hear the crew behind the camera: MORE ACTION! SMILE!! EVERYBODY ELSE IN THE SHOT-JUMP UP AND DOWN AND FOR HEAVEN’S SAKE, SMILE!!! It wears me out. Frankly, the same is true of all of the food networks. Makes you wonder how The Barefoot Contessa has lasted this long. I really enjoy Niki on “Addicted to Rehab”. How about “Leave it to Bryan”? There’s a really mellow guy. HGTV should be called the Real Estate Channel. So tired of all the selling & renting shows. I too miss the “older shows” – when it was really about decorating. I used to watch HGTV all the time; but not so much now. But, I am loving the new show Fixer Upper! Found it by accident one day as I was flipping through the channels. I, also, would love to see some actual gardening shows, too. Design Star was my favorite!!! I also love that show with Chip & Joanna Gaines! They are adorable!!! I turn the channel whenever LIOLI is on. That’s the worst! I wondered if anyone caught the pilot episode of Ana White from Alaska. I first became familiar with her because she has a wonderful website with furniture plans. My sister n law and myself have built several of her furniture pieces and the instructions are wonderful. It is a great website for DIY. I hope the show gets picked up, it was a DIY on a budget. I did! I love Ana White’s blog. I used her plans as a base when I built my daughter’s loft bed. I love Rehab Addict and Sarah Richardson but that’s about it. I’ve never heard of fixer upper but it sounds like something I would like. I miss the design shows like Candace Olson so much. Real estate shows are depressing after awhile if you do not have millions to spend on a house. Also, where are the real estate shows for those of who cannot afford an “ensuite” or “an open floor plan”…? I have a difficult time believing that the ratings referred to by HGTV are accurate. If you look at HGTV’s blog, where I have posted along with MANY others, there are constant complaints about the current lineup of real estate shows, especially Property Brothers and Love It / List It. In addition, it is difficult for other shows to become popular when they don’t play them during prime time and played close to midnight when most people will be asleep. Fixer Upper is our favorite. I am getting so sick of Jenny Garth ads! What’s the deal ?, I for sure, will avoid this show. I used to like Design on a Dime. Guess you can’t find enough advertisers for doing things cheaply. Liked The High Low Project too. I agree with all of those who are so very tired of Property Brothers and Love It or List It. I too long for the old shows like Decorating Cents and Design on a Dime. House Hunters International is good, but they show the same episodes over and over and over again. Whoever commented on the “telegenic” hosts is so correct. It’s annoying though.